The name of Grandelash eyelash enhancing serum is a bit misleading – its capacity is not at all grand. It is 2 ml. The product comes in a small golden bottle with red writing. This tiny bottle holds a small brush which – due to its size – requires precision during the application. 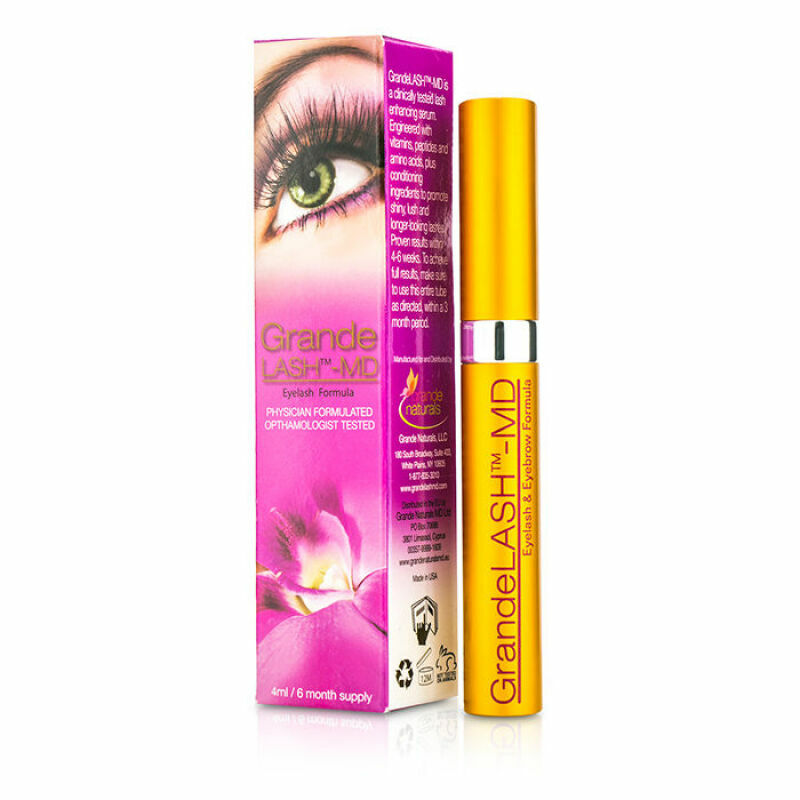 Grandelash eyelash enhancing serum provides excellent action: it nourishes lash bulbs so that the lashes can grow healthy and strong. They stop falling out and gain proper moisture. The enhancer balances out water-lipid barrier in their structure. You can see stronger lashes after 4 weeks. They are no longer brittle. Gentle beautifying action comes within next weeks. Grandelash eyelash enhancing serum curls them up. In order to provide full nourishment, you should buy two bottles at once. Grandelash eyelash enhancing serum is small so the brush is little as well. As a consequence, we must learn to apply the product to the lashline so that it doesn’t drip off the eyelids. Grandelash is slowly absorbed in the eyelids. You should apply it in the evening, when make-up is thoroughly removed. You must be careful while applying the serum because the brush is so small that you can easily damage the tiny hairs around the eyes.